Phytosterols are compounds that resemble cholesterol but that are derived from plant sources. Because the intestines cannot differentiate between cholesterol and phytosterols the phytosterols get absorbed instead of cholesterol. Thus, less cholesterol reaches the bloodstream. 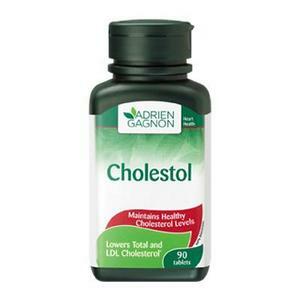 Phytosterols are clinically proven to lower cholesterol levels (total and LDL). Liver is supported with the L-Methionine, which is essential to many metabolic functions of the liver, including cholesterol elimination. The anti-oxidant Policosanol helps prevent the oxidation of cholesterol.